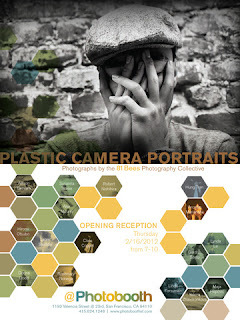 I'm going to be part of a Plastic Camera Portrait Show at PhotoboothSF starting on Thurs., Feb. 16. There will be an opening reception from 5-10pm on that day. Photobooth is located at 1193 Valencia Street @23rd Avenue. Come on by to see the show, enjoy food and beverage and talk photography.